Q. 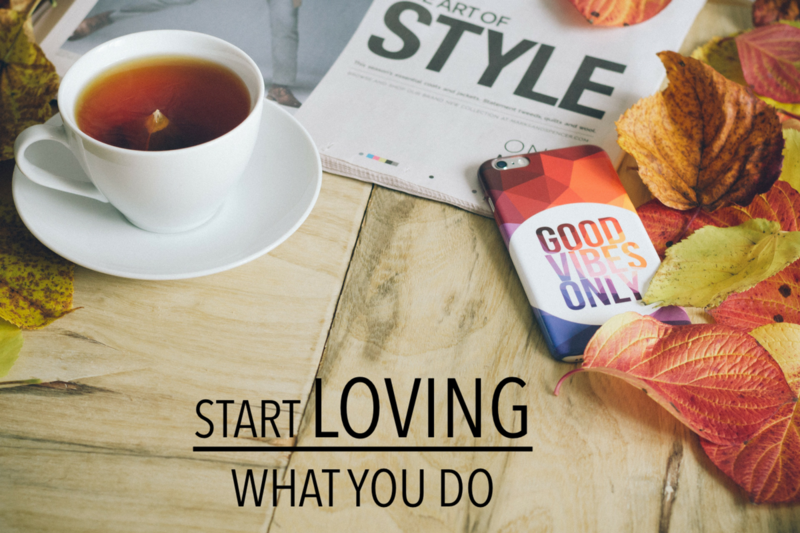 Why should choosing what you do for work be exciting? A. Why shouldn’t it be? You’ve got one shot at this moment, and one shot at the next. Why not make each one count? Why not choose to show up in a way that expresses who you are at your core? Why not make the contributions that only you can make? Because here’s the thing: no one else can do you. Imagine we are all cells of the same body. For the body to function properly, we must each do our unique work. It would be like a cell of the eye wanting to be a cell of the brain… or deciding to just sit this one out. Yikes. When you think your contribution doesn’t really matter and doesn’t affect the whole, you’re lost. When you ignore the impulses and intuitive nudges to move in your own way, looking instead to others for answers, once again you are lost. There’s this great scene in the movie What About Bob? When the obsessive-compulsive Bob, played by Bill Murray, discovers “baby steps”. As you begin to give more space to work that excites you, remember baby steps. There’s no need to leap and hope for the net. Say you want to start a blog, for example, can you wake up a bit earlier for mini writing sessions before heading out to your “day job”? What you can do with an extra 30 minutes a day is astounding. In a keynote speech about the “third metric,” Arianna Huffington discusses the dangers of multitasking: “You think you’re being efficient, but actually you’re being stupid.” As Arianna points out, we now have scientific evidence proving we cannot successfully multitask. Consider how to eliminate all distractions during the time you’ve set aside to show up for what you’re most excited to create. When I tell people that I habitually turn data off on my mobile while I’m focusing on a project, they think I’m crazy. I’m convinced, on the other hand, that it’s one of the smartest things I do. The other option–the constant interruption of e-mail/Facebook/Instagram/WhatsApp/[insert your favorite distraction here]–simply doesn’t support my growth and happiness. It’s almost impossible to avoid the lure of those pings; it’s called gamification. So protect yourself and your time by consciously deciding when you want to let your attention wander, instead of letting those distractions decide for you. As you continue to move in the direction of work that excites you, remember to check in with yourself and those gut reactions that tell you you’re on the right track. Or maybe for you it doesn’t come from the gut. I’ve had clients describe it in many ways: a floating, expansive feeling, a sense of effortless ease, something inside that says yes…. This is your brain sending feel-good chemicals to your body, messages to go for it, and it’s so important to follow that lead. A friend of mine recently decided to take what she’s calling her “leap-of-faith tour.” She left behind a life and choices that were making her unhappy to follow her lifelong dream of being a dancer. She’s choosing to follow the fuzzy, bubbling, warm feelings this choice gives her . . . and loving every minute of it. A: Act Today, Not Tomorrow. To paraphrase from motivational author Napoleon Hill’s work: Knowledge is not power. It’s potential power. Knowledge without action is completely useless. Taking action is the only way to test drive the feelings you’re after in your work. It’s also the single greatest differentiating factor between getting where you’re meant to be or not. Action has magic in it. Begin today to do work that excites you.